On the cusp of primary election day, capping off an expensive and controversial race, SPx sought to go beyond the talking point with both leading candidates. 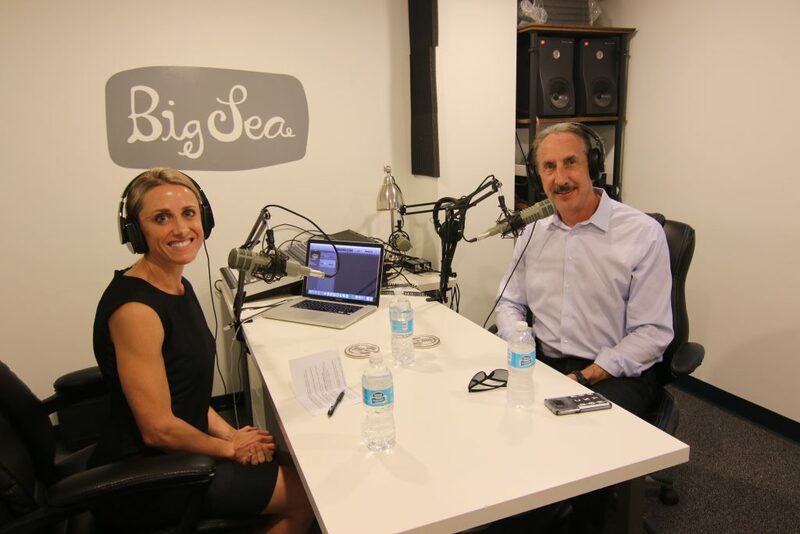 Host Ashley Ryneska sits down with Rick Baker to talk all things St. Pete with one of the city's biggest cheerleaders and toughest critics. 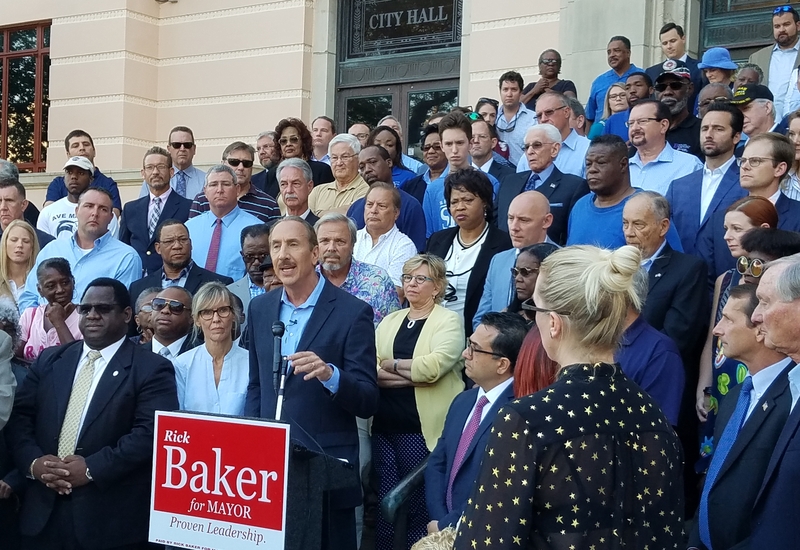 Baker talks about his heartfelt return to the public sector, his old-school community chats at local diners, and his priorities to get St. Petersburg "back on track." Rick Baker is running for a third term as mayor, he served previously from 2001-2010. Though many have speculated about his intentions to run for state or national office, Baker decided not to make a bid for larger office in order to run for his third term. Servant leadership is a term Baker uses both in this podcast and his book. He believes we should all serve, and that we have a duty to give back - "to be a helper" something he learned from John Galbraith, former CEO of Templeton, one of the greatest mentors of his life. Baker on the day of his announcement: "So I park on the side of the City Hall and the announcement was going to be on the steps of the City Hall. And I turn the corner as I am walking towards it and I look and there are 200 people lined up at City Hall on the steps. And that was such a moving thing for me, it was - okay, we're into this. We have the support behind us, we are going to build and take this thing forward." Juvenile crime: Baker says public safety is the #1 priority of any mayor. But addressing it from the law enforcement side is not enough. We must address the human component. Baker believes inattention to the Midtown district has caused the city to go backwards - as crime is the failure of our community in communicating a message of hope for a life outside of crime. Baker feels that the answer to these problems is education, job training, and jobs. When he was mayor, Baker created a program called Mayor's Doorway - to give low income kids a scholarship incentive to stay in school and out of trouble. Strategic planning - set mission, set your objective, decide on your strategies, then execute, put performance measures and metrics in place to see if you’ve accomplished your goal, and retool from there. Baker would like to bring the Association of Builders and Contractors Apprenticeship program to St. Pete. This program teaches young people trades such as carpentry, plumbing, and electrical work. It is currently thriving in Tampa. Education and trade jobs aren't the only economic drivers in St. Pete. The arts make up a major sector of St. Petersburg's economy, as well . In 2002, Baker declared St. Petersburg the cultural center of Florida. He likes to say that such a move was to "lie until it becomes true," because he believes that when you "decide you're going to do something, it's amazing how people and resources flow to it." Baker has a strong track record with the arts. He helped to relocate the Dali to its current location, to move the Florida Orchestra to St. Pete, to rebuild the Mahaffey Theater, and to create the Warehouse Arts District. From public to private life and back again, Baker joined the Edwards group following his term as mayor. He has been responsible for projects such as the Sundial, the Rowdies Stadium Renovation project, and One St. Pete. #MLS2STPETE: What does Baker think the Rowdies chances are of going Major League? He says we check all of the right boxes: large television audience, strong fanbase, corporate sponsorship and support, and a privately-funded stadium plan supported by the people. Tropicana Field: whether the Tampa Bay Rays stay or go (and he hopes that they stay) Baker believes that we have a great opportunity to redevelop the 85 acres the Trop sits on. He hopes to see green space, housing, and Midtown advocates at the table, should redevelopment occur. Baker believes we should focus on small business, helping our companies grow here (like Raymond James, Jabil, Franklin Templeton, and others), while at the same time welcoming new businesses to relocate here. And I turn the corner as I am walking towards it and I look and there are 200 people lined up at City Hall on the steps. And that was such a moving thing for me, it was – okay, we’re into this. We have the support behind us, we are going to build and take this thing forward. Rick Baker served as Mayor from 2001-2010. During that time, he placed heavy emphasis on education, neighborhood and district revitalization, and small business. He played a large hand in the transformation of downtown, Midtown, and Beach Drive districts, arguably the building blocks of the St. Pete Renaissance we are currently experiencing. Baker made major waves when he declined to run a statewide bid and instead, made a run for his former post. 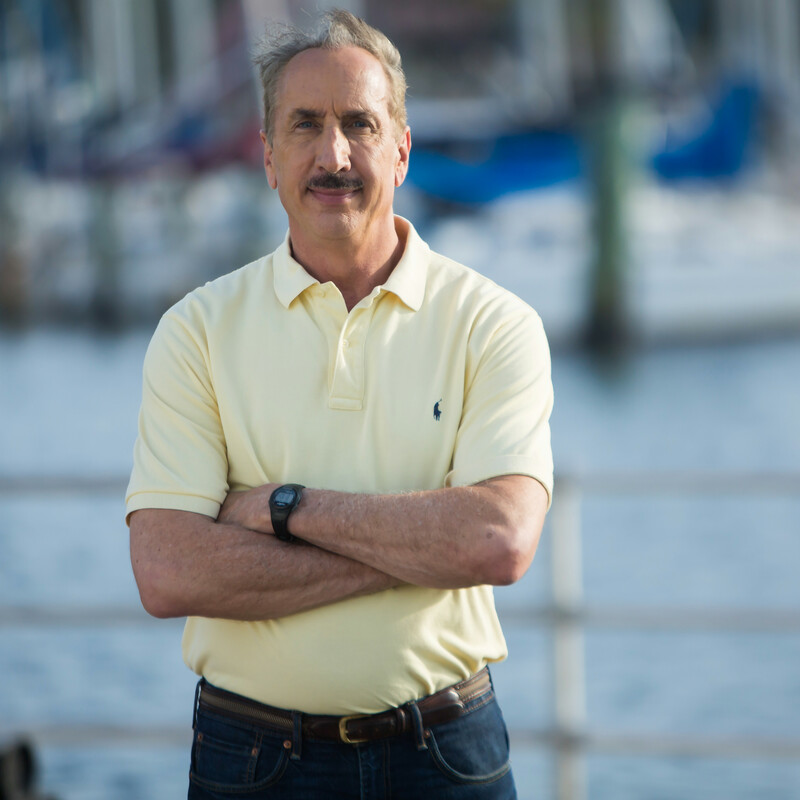 We sat down with Rick Baker to understand his decision to return to local politics and his vision for St Pete’s future. When I was a kid, I was the one with the whole neighborhood in my treehouse. Because I just loved people, and I still do." Ashley: This is Ashley and I am here with Rick Baker. Mr. Baker, welcome to the show. Rick: It is good to be here, Ashley. Thank you. Ashley: I know that there is a tremendous amount of speculation about you running for mayor, and you were incredibly successful in warding off transparency before you were ready to give it. Ashley: Could you walk me through your process in coming to terms with that decision? Rick: I think a lot of people believe that I decided something but I was just not telling anybody yet. And that really was never the case. I really didn’t decide until very much shortly before I announced that I was running. I am blessed to have a lot of options in my life. I actually am about to publish another book I have been working on for ten years. It’s a big book on the history of Florida, I like history so I’ve been working on that, I’ve got publishers proofs coming in right now as I am running for mayor. Obviously, I hadn’t intended to do both of these things at the same time. And I have a good gig at the Edwards Group, we are doing the Rowdies and we did Sundial and worked on the One St. Pete project and some other things around the town. So that has been good, and I have long been encouraged to run for State office as well. And so trying to balance all, what is the right thing to do. My kids both in college now so it makes it a little bit less time demanding on raising kids. My kids were four and five years old when I started up being mayor before. So, it really was a balance in approach and at the end of the day my decision process was where could I serve? And I believe we should all serve. Whatever we are doing, we have a duty to give back and to try to help the community we live in, or the place we live in, or the world, or the country, or whatever we choose. I was the business wear for Templeton Mutual Funds which is now Franklin Templeton, and the CEO of it was probably the greatest mentor in my life, his name is John Galbraith. And he used to tell me, “You got to be a helper.” Just a very simple word, you got to be a helper. And I think that just crystalizes my philosophy that I have probably got from John and others, that whatever we are doing we should seek a way to be a helper. So, what was the best way for me to help at this stage of my life, as I watched my concerns about the direction that the city was going right now? And I happen to study and have studied cities a lot of my life and a big part of my life. I am a Fellow at the Manhattan Institute in New York, which studies cities. And so I have seen what happened with some of our cities, St. Louis and Baltimore and Detroit. They used to be really considered great cities. What happens to them, why do they go the wrong direction? And while St. Pete has got a lot of momentum that we have been building over the last 25 years, I have seen some of the things that have happened in those places start to happen here, and I felt this is probably the best place for me to be, to try to help. Ashley: So, the day that you announced that you were going to run for mayor, May 9th 2017, and it was a big day for the city, arguably probably a bigger day for you. I am wondering on that day what emotions you were negotiating as you took to the podium and declared this decision. Rick: You know, you wake up in the morning and you know you are about to go do something pretty big, so you are thinking about it while getting out of bed. And as I am sitting up and thinking about what I was going to say, because I don’t write out speeches and things before I give speeches, I don’t memorize speeches. I kind of stick an outline in my head and then I just go and talk. Because I believe that that is the way to do it, to talk to people. If you do it that way it comes from your heart, and people recognize when it’s coming from your heart. So, I am sitting up, just getting up and I am thinking okay, what am I going to do? And this compelling thought hit my head: just tell the truth. Just tell people what you think. And that is really how we have tried to govern the whole campaign. Sometimes truth is a hard thing to say. Sometimes there are things that you are going to say that are going to appear tough. But sometimes you have to be tough, sometimes you have to let people know what is going on in order to make sure they are equipped to be able to handle whatever needs to be done. And so that was really an overriding thought to me, and then I got ready, got in my car and drove over to City Hall. And we had not let anybody know we were going to do this in advance, because we wanted to make sure we had an opportunity to have an announcement. And so we started calling around to people to come to the announcement. And we only started the day before and the announcement started at 7:30 in the morning, because we had a City Council meeting that day, we wanted to do it before that, so a couple of the City Council members wanted to be there. So I park on the side of the City Hall and the announcement was going to be on the steps of the City Hall. And I turn the corner as I am walking towards it and I look and there are 200 people lined up at City Hall on the steps. And that was such a moving thing for me, it was – okay, we’re into this. We have the support behind us, we are going to build and take this thing forward. Ashley: Anyone who is picking up a paper in St. Pete, the crime rate for the city is leveling or appears to be leveling. Alarmingly, the rate of juvenile crime seems to be escalating around the areas of… certainly, in car theft. Rick: Well, the public safety is the number one job of every mayor in the country. The reason you put a Government together is to make sure you have an opportunity to protect the people. And so you have to address it from the law enforcement perspective first of all, so you do have to arrest people when they commit crimes, you have to try to find ways to keep them from committing crimes and to get them when they do, and then punish them, however the appropriate punishment is. So you always have to address every crime in that perspective. But with respect to the juvenile crime, you are never going to solve it if that is all you do. You are never going to be, because what you really have is you have a certain segment of our community that, for whatever reason, whether it is maybe a breakdown in the family structure or whether it is just the environment that they are in or whatever, they are being brought and led into a life that results in them being in somebody else’s current driving way. So you have to look at that human component of it as well and see how do you address that human component? And to me what you are trying to do, and still, this is why I worked so hard in the Midtown project. The Midtown effort was my strongest effort. People went backwards on that in the last four years. It is one of the reasons I am getting in this, because I cannot stand too much of us go backwards because of inattention to the Midtown community or people that are at the lowest end of the economic ladder. So what you are really trying to do is instill in these kids the idea that they have the opportunity to have hope. They should have hope, they have the opportunity that they can improve their lives, that they can get a career, that they can actually advance as part of our society, they can get jobs just like anybody else. They have to have that opportunity. When they are sitting in somebody else’s car driving away, that is really the failure of the effort to communicate to them and have it be tangibly real that they have the opportunity to improve their lives. If you are on your way to Harvard you are not going to go rob a car. You are just not going to do it because you know you have this future ahead of you that you are not going to want to mess up. And I am not suggesting that everyone should want to go to Harvard, but everybody should have the idea that they can have the opportunity to do something other than robbing that car, other than stealing that car. So that is a number of things that you do to try to advance that, and to me it is all about education, job training and jobs. It is all about that. Because if people feel they have a path to those things and so that they can earn an honest living without having to resort to crime… It is virtually a certainty, if you get into a life of crime you are not going to do very well, my friend. You are going to go into a very bad place: jail, you could be dead, you could be whatever. But if they honestly believe they have it, so what do you do? Well, we did a number of things and I want to do more. One thing we did was we had something called the Mayor’s Doorway Scholarship program, which I created in partnership with the Pinellas county Education Foundation. So I would tell a child… And if we introduced lunch program, so a low-income kid in St. Pete in sixth grade, I would go to him and I would say “If you do certain things between six and twelfth grade, if your attendance is good, your conduct is good, you have at least a C average, you are drug free and crime free between sixth and twelfth grade, when you get to twelfth grade we will give you a four-year college scholarship.” And I will raise private money to fund it. What you are doing is you are telling the kid in sixth grade: stay good. Stay good, stay in school, in twelfth grade you are going to College. That is an incredible incentive for a kid to stay good. And we raised enough private money to fund 1,000 College scholarships like that and 93% of those kids graduated from high-school, went on to College. That is an incredible incentive to keep them from breaking into that car. Ashley: It is also a shift from symptomatic outreach. So yes, the backpacks and the snacks and the sundries are all necessary when we think about social outreach, or social services or resources. But your philosophy, it seems your strategy hones more on the systematic, getting underneath the belly of the issue and addressing material poverty, yes, but also addressing poverty of self-confidence, poverty of connection, poverty of the emotional coping tools that a lot of these youth are robbed of through their experience. Rick: Well yeah, and like you said, you have to do both. There is free introduced lunch at school for a reason because kids need the food and they need to be able to do that. I built Mercy Hospital Clinic in Midtown, because people have to get health services, and you have to have an opportunity to provide people with some of the needs that they have as well. But you cannot stop there. If you stop there, then you are never going to change the cycle. And you read “Seamless City”, my book. In the book, what you can tell by the time you got to about three pages is that I am a strategic planning guy. I believe you set your mission, you set your objective, you identify your strategies and how you are going to get there, you then execute on those strategies and then you put performance measures and metrics in place to see whether you have accomplished them, and then you retool and go from there. And so your first goal has to be in the case of this is all our objective is to reduce crime. And yes, that is our objective. But you can reduce crime just by the way crime is calculated, which happens sometimes. And so crime rates go down, but you have never reduced crime, or you haven’t made it any safer. So your objective should always be to reduce crime, but on regarding that your objective really should be getting a community where people are not committing crimes, or they are not having the motivation to commit crimes. And nobody should misunderstand what I am saying by saying that I don’t think police officers should be out there arresting people. We did a lot of that, I increased the number of drug arrests in the city by 50% yearly when I was mayor. I believe you go after people that are committing crimes. But at the end of the day you are not going to solve it, because we cannot fill our jails with everybody that is poor, that is not able to get a job. Ashley: For some of these teens, jail may arguably be an escape from some of their conditions. Rick: I am not sure that they are really even thinking about it. Because if they know that you rob a car and get caught you are going to be back in the street, you are not going to go to jail. And they know that, they figure that out, they are pretty smart. So they are making what they consider to be a rational decision at the time. So what we have to do is giving them an alternative paradigm. One could be college at twelfth grade, but a lot of them aren’t going to go to college. By the way, I also built a Job Corps training site in Midtown on 22nd street when I was mayor. We just met a young lady two days ago that had graduated from the job core site, got a job, she was telling me how great she was doing, I am thinking “That kind of works.” And we built the St. Pete College campus right on 22nd street in Midtown, and we built a head start program right off the 22nd the street in Midtown. So you want to provide people the opportunities to education, we did a lot of that. To me that is all about creating an environment of opportunity. Beyond that, the Association of Builders and Contractors has a program, I just had lunch today with their program over in Tampa. And they are called ABC, but they are the contractors. What they do is they have an apprenticeship program where they will take a child that has got a GED or a high-school education and they will go and make him an apprentice in one of the construction skills. So it could be plumbing or carpentry or electrician or whatever. And they will give him a job. So you will make 12 to 15 bucks an hour in a job right now. And they will pay for your training at night for four years so you can go through a training program that you become certified after four years. And every year that you are in the job you get a little bit more money every year, and then when you get certified you get a big bump. And you can make a very good living doing that. So it is an opportunity for a student that may not be going to college, may have no interest in going to college or not an opportunity to go to college, but they have a path. They are doing 500-600 of those kids in Tampa right now. They are doing zero in St. Pete. I have talked with them, they have endorsed me for my campaign, but I have also talked to them, I said I would like to brand it, I would like to make it a mayor’s apprenticeship program in St. Pete and I would like to bring it into our city, take our kids, bring our kids through this apprenticeship program into the training. Imagine how many lives you could change with something like that. And if you get a kid at 18 years old, even if you get them when they are in their tenth grade, you say “Listen, stay straight, stay good, stay out of trouble. When you get to twelfth grade then you have an opportunity to go into this apprenticeship program, within four years you could be making your $50,000 a year. That is not a bad living for a young person coming up, right? So we are going to do that, I have already talked to them, I’ve talked with the Education Foundation already, they will be partners in it, we are going to tie that all together. Again, the idea is: you try to provide people with the opportunity to succeed without going in a bad way. Ashley: Mentoring, job shadowing, all of these tools that you are assessing for a solution are commendable. And we at SPG, we have talked about the arts influence on a youth trajectory in life and as a mode of expression and connection. And you are no stranger to the arts in St. Petersburg. I am not sure if our listeners even know the connection that you have in bringing the Florida Orchestra here, the Chihuly, the Dali. Share with me how these decisions have created a massive ripple effect in the creative community here. Rick: Well, when you first started talking about it I thought you were talking about my guitar playing at the Saturday morning market. Ashley: Unfortunately, not now, but later on I guess we will. Rick: In 2002, we had a press conference over at the Museum of Fine Arts. That was my second year of office. And there had been an economic impact study on how much art impacts the community. So we decided to talk about it, and at that press conference I announced that St. Petersburg was the cultural center of Florida. Now that was really part of an approach to lie until it becomes true. I said it as a jest, because I have said before and my opponent then says “oh, see, he says he lies”. But I say that because what I am really saying is if you set a goal for something big people follow. So I set a goal for St. Pete to become the art center, and I actually declared us to be the art center. That is the decision, right? When you decide you are going to do something, it is amazing how people and resources flow to it. Ashley: And it often happens. Rick: It does. And so I made that call and then from there we went on and we did a lot of things. I really helped with the effort to relocate Dali in a new building right on the waterfront in downtown St. Pete. We did bring the Florida Orchestra’s headquarters into St. Petersburg, went out to Seattle and met with Dale Chihuly and brought the Chihuly Collection into St. Petersburg. I rebuilt the Mahaffey Theatre, a lot of people don’t remember what the Mahaffey Theatre looked like in 2000, when it was a square building with no windows, and you actually entered from the parking lot and did not even know it was on the waterfront. And it is now this gorgeous facility. We brought St. Pete College campus into downtown, along with that came the American Stage New Theatre. And then St. Pete College, we helped them as they acquired the Palladium and made out of it another one of their museum assets into the city. We brought Great Exploration to the Sunken Gardens Museum. We expanded the History Museum, we expanded the Fine Arts Museum. Lots of- really, the great cultural renaissance of our city came to that point. And later I sat down with Duncan McClellan and invented the Warehouse Art District, which is really patterned after Seattle and Tacoma, and Chihuly, it really created this energy of an art center. And I think it does a number of things that directly answer your question. First of all, it is an economic impact. There is no doubt in St. Pete arts have a strong economic impact for the people that work in the arts, people that enjoy the arts, tourists that come and see the arts. But it is also a huge quality of life thing to me as well, and the arts no doubt is an enhancer of the quality of life of the poeple that live here. It just does. You feel differently about the city when somebody comes to town and you say “Can I take you to the Dali?” or “can I take you over to see Chihuly?”; “Would you like to go out Saturday night to the Warehouse Art District walk?” And it is just different, makes St. Pete cool. Ashley: So we are talking about the St. Pete renaissance and the arts is a big part of that. And you had some thoughts in terms of where we are going, or where you would like to see the city go in the arts realm. Could you expound on that? Rick: Sure. When I was mayor we created something called St. Pete Arts. We inventoried all the art assets we had in the city and then we did a website for them so that we could start the effort to promote them as a single thing, as this is our arts in St. Pete, which I think has continued and is a good thing. And I believe that when we think of arts we often think primarily of visual arts, although we sometimes think of performing arts as well. And we have a tremendous large number of performing arts assets in the city. So, I think we could do a little better job of inventorying and promoting our performing arts as well. And I would love to do the same thing with our music. And music really is an element of the performing arts, but I would like to maybe pull that out as a separate brand and really inventory it. Because we have some great musical assets in the city. I like music, I am a musical kind of guy and I think it would be great to look at Austin and Austin’s reputation, or in Nashville, as they have become known for their music in their community. So I am not saying in place of the other arts, I am saying in addition to the other arts, the visual arts, the performing arts, and then music is a component of that. I think that that could be really cool for St. Pete going forward. Ashley: And really integrating music into our everyday experience, and just having this pervasive development of different talent. I know you have a penchant for… is it rock? Rick: Southern rock. I really play a lot of different music. I am not good at any of it, but I play a lot of it. But I like southern rock, the Scattered and Marshall Tucker and Allman Brothers and things like that. In fact I got to play with the Allman Brothers band when they were here in St. Pete, which is a benefit of being a mayor, I guess. Ashley: I guess so. When is the last time you picked up your guitar? Rick: Last night. When I am trying to calm down at night I will pick up my guitar and play, just play and sing to myself at home. Ashley: Love it. I want to talk about the transition from public life to private life and how you have navigated that so successfully. And there is a lot of healthy curiosity around the Edwards Group. It is wonderfully enigmatic, we know that there is a lot of great stuff happening there, a lot of great decisions being made, I would expect a tremendous amount of interest and inquiries and requests for support. And one would suppose that you are inundated daily by different businesses and organizations looking to connect with you in some capacity. Rick: It has been an interesting travel that I had, because I started out in the business world as a corporate lawyer, business acquisition lawyer for a lot of years. So I was involved in a lot of businesses, in our community I was involved with the Chamber. I actually ran or I was involved in five successful mayoral elections before I ran for mayor. So I was very tied into it all for a long time before I ever ran for mayor. And then I got to be mayor for a while, almost nine years and of course I was in the middle of it all. With the Edwards Group it has been interesting and enjoyable because it has allowed me to continue to be involved in things that help move the city forward, but from a different seat than I was in before in any of the other places I was before. So whether it was the redevelopment of Sundial, which was a challenge, but also it was the old bay walking down Sundial, but it wound up being a great project for the city. Or the assembly of the land for the ultimate development of the One St. Petersburg and Higher project downtown. Or the Rowdies, which has been an ongoing effort to try to both get the team going and get them into Major League Soccer. All of that and then a lot of the other projects we have been involved in. The Edwards Group is the manager of Mahaffey Theatre and does a number of other things in the city, some of which I am involved in more than others. But what is neat about it is I really think that Bill Edwards made a lot of money in the mortgage business, he was very successful in the mortgage business. Now, by the time I came there they were largely moving out of the mortgage business, so I was involved in that piece of it. And what he has been involved in since I have been here for almost five years now has been largely things that he wants to do to help the city. Now how cool is that? To have a successful business man in the town that wants to look for ways to help the city and invests his time and money into trying to make that happen? And so that has been an interesting process and an enjoyable process and one that aligns with my objective as well, which is always to try to figure how we can make St. Pete better and improve the quality of life of the people that are here. And I think we have had a lot of success in doing that. Beyond that, as you have mentioned, Bill is often asked to contribute to various efforts and causes in the city, and he makes all those decisions, I don’t filter any of that. I have to say he is a very generous guy when it comes to that, he is putting a lot of his money into things that people help, sometimes people see it, sometimes people don’t ever know that he has done it. Ashley: Absolutely. Well, you mentioned the Rowdies, so we have to go there now. And I would love to get your assessment in terms of our chances, or what you think our chances are in bringing a Major League Soccer team to St. Pete? Rick: I think they are good. They started out, I want to say, with a dozen cities that were going to apply for four teams. And it depends on how you count it, that has probably been one down a little bit because a couple of the cities, actually two of the leading contending cities, have had political issues that have had them really now no longer considered leading cities anymore, but at one time they were right on the top of the list. So we have been stable on that, and the characteristics that MLS is looking for are ones that align pretty well with us. One is television market, they want to be in the strong television market, while the St. Pete area is the largest television market in the country that is not presently in the MLS. So what that means is all the other cities are in smaller television markets, so that is a good thing for us. We have a very strong following in terms of fan base, we get good attendance at our games for the USL team, we get good enthusiasm for the Rowdies, great brand name – Rowdies – national, international brand name. And we have had a lot of corporate support, we had over 200 companies in our area that signed up to say “We are for this effort”, they have sent letters to the MLS and a lot of them, most of them I would say, but a large percentage of them, said that “We would be willing to be founding sponsors for the Rowdies if they get the MLS franchise”. So we have all that and Bill has been busily trying to assemble the financing for it, which is a lot. And we have a Stadium plan, I should say, passed by 87% of the vote of the people, that is a remarkable Stadium plan that could do a Stadium of 18 to 22,000 seats right on the waterfront. I think it would be the most beautiful, certainly the most soccer venue in the country, maybe the most beautiful venue, period, of sports in the country. And MLS, I think, is very interested. Bill was just up in Chicago in their All-Star break for the MLS, a week before last I think it was, talking with Don Garber and others up there. And I have had many conversations with those fellows over the time. I think we stand a very good chance. It is competition, the other cities aren’t just going to sit back and let us do it, so we are going to have to compete. They are supposed to pick the first two teams by the end of this calendar year. 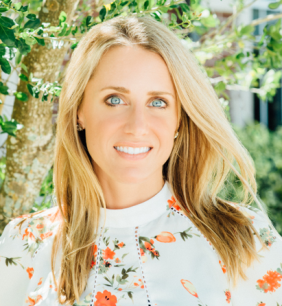 Ashley: One is shift to the trop in the realm of sports, and the debate or the query around the new location, if there is one, for the new Trop stadium. And we have potentially 85 acres poised for redevelopment and we think, Rick Baker, you can’t not think of redevelopment. You just have a very sharp eye and vision for what we can do with the very little land that we have. And now we have seen before us a potential opportunity, we don’t know exactly what that is going to look like yet, but you probably have some ideas based on what happens with that team. Rick: First and foremost, I remind people that in the ’90s, I was on the baseball committee of the Chamber and I went door to door getting petitions signed to get the funding for the Stadium, and I tried to get a baseball team for St. Petersburg. And that was a long-term effort for the city, the city has invested millions and millions of dollars into that facility. So I think the first objective is to try to work to keep the Rays in St. Pete. That is going to be harder, because Mayor Kriseman has largely let them out of some pretty important parts of their contract, and so that is why they are looking at Tampa right now, because he did that. So it is going to be a little harder to do that, but I will work to try to get a plan that could keep them in St. Pete, perfectly right at that site. But whether they stay or don’t stay, that site will be redeveloped, either with a Stadium or without a Stadium. And I think that that is 85 acres, as you indicated, right in the heart of the coolest downtown in Southeast United States. So, I think there is great potential for that site to do a number of things at that site. I think some sort of housing would be part of it, I would personally believe that it should be a significant portion of public green space in that, I think that is what has made St. Pete the great place it is, our waterfront park system, our green space around the city, the bike paths, the dog parks, playgrounds, all that stuff. I think that it should be a very important and significant component of whatever is done at the trop site. And of course, I also believe the folks in midtown should have a seat at the table in discussing all this, because a lot of those folks were displaced back when the original site was cleared many years ago in the old gas plant site, which is what it used to be. So concerning all those, depending on whether a stadium is… And by the way, we could also have a stadium off the Gateway if the Rays decide to go there. So let’s say they did and this site was open up completely, then you might have space for corporate headquarters and corporate space as well. So this could be, you are right, a great opportunity. I think it is a great opportunity for the city no matter what happens because, again, we are positioned in a good way going into it, and it is a great asset and if we had the right leadership going through it I think it can be really cool. Ashley: Small business is likely the lifeblood of this community, or it has started to become the lifeblood of this community. And during your previous terms as mayor you were very focused on small business, not only when small businesses opened, but several years into their existence you were very sensitive to the two to three-year mark in their journey being really critical times of make it or break it. And you would deploy your efforts to publicize their successes and to congratulate the team, and really keep that engine going. So you definitely have your finger on the pulse of small business and it is likely the climate has changed since you have been in office. And so now coming back into office presumably, what are you going to do to continue to retain the amazing agencies and companies we have grown organically, and to attract more to the area? Rick: Well, first of all you have a great memory, because that is exactly what we did on that period of time, thank you for noticing. I ran a small business, I used to be running a small business for many years, I was president of a law firm. And I used to say that I got my MBA from a Florida state, but I got my PhD in business the first time I had to make payroll and I had no money in the bank. That is what being a small business is all about, it is not an easy way to pursue a career, but it is a very gratifying and it can be a hugely successful way, and so I have great respect for the small business. I was involved in the Chamber of Commerce virtually my entire time before I ran for mayor, and the Chamber is largely small businesses. The largest component of the Chamber of Commerce is small businesses. And what I learned when I was at the Chamber was that 80% of the new jobs that we had come to St Petersburg next year will come from existing businesses in our city. Sometimes we can tend to spend more of our efforts on trying to recruit the next business to come into town, and not maybe enough to do what we should about the businesses that are already here. So whether it is making sure the permitting department is working so it is not causing havoc for people, which is going on right now, or whether it is not having too high taxes or too high regulatory burden on people in the business community. Or whether it is just showing them support, like you have mentioned, celebrating this two-year anniversary of a business that has made it for two years, which is a big mark for a business. All of those are important. I used to go around the city and I would sit down with businesses on a regular basis, we had a regular part of my routine. And I would sit down with the leadership, whether it was a small business or a big business, and I would say “Okay, tell me, what are we doing right as a city?” And I always like to start with the right, because you want to hear the good news first. And so they tell me what they think we are doing right as a city. And I say “Okay, where do you think we can improve? What are some of the things the city is doing that maybe we are not doing so good?” And then they will tell me that and we will keep track of all this, by the way. And if we are not doing something right we will try to fix it. And that is the whole idea by going, is to learn when they have concerns and try to make it… Because I want them to succeed. If our businesses don’t succeed, people in our city aren’t going to have jobs, and they have to have jobs to be able to pay for their mortgage on their house and their car and send their kids to college and whatever they want to do, you have to have jobs in the community. So I want to help the businesses. To me, the Government should be trying to help business succeed, not getting in the way of them, or some are treating them as an adversary. It should be helpful, it should be doing for the business. So those are the first two questions I would ask. And then I would say “Are you thinking about expanding in the city? And if you are, how can I help? What needs to be done in order to accommodate your expansion, so we can get you to bring more jobs in our city?” And then the fourth thing was always “Are you thinking about leaving?” Because we want to know. And actually, there was a time I found out yes, somebody was about to leave. And I actually found out through a third party, so I showed up and it was a midtown business, they had about 60 employees or maybe 50 employees, but they couldn’t get the land and they were having all sorts of problems. It was right after I took office. So I just showed up at the business, talked to the receptionist, “Hi, I am the mayor, can I speak to the owner?” And he was surprised to see me. And I sat down with him, “I heard you are moving. Tell me why you are moving and how can I stop that from happening?” We wound up stopping it. So if you can intercede at the right moment and try to help that business to grow and succeed I think it is so worth it. Trust me, I understand how hard it is with small businesses, I know. I know how sometimes your sales aren’t going where you want, or you are having this problem or that problem, you cannot get the financing you need. Whatever it is, you go through a sole period of time, you have trouble getting employees, whatever it is. Sometimes businesses struggle, and so the last thing I want to do is to somehow get in their way. But the most thing I want to do is: is there a way I can help? So yeah, I am with you, I think… And yeah, they are my people. Home Shopping Network, Graham & James, what is now Franklin Templeton, Jabil – I think they had 160,000 employees in St. Pete. All these companies started as small businesses in St. Pete. Graham & James. And all these companies started as small businesses. Ashley: I think Valpak too. Rick: Valpak. All these companies started small. And they even do power, started in a little power plant where the Yacht Club was located, right down at the old Florida power building. Most of our major companies in our community started small. Sometimes we spend so much time trying to get the next huge company to leave and put a back office here or something and then move out five years later. I am not saying we shouldn’t try to get them here, I do. But we should also make sure we are working with the companies that are growing here, because that is our future. Ashley: So you lead by three different tenets, and it is listen carefully, walking around and speaking clearly. Did I get it right? Rick: That is the best I can remember, I read the same book you did. Ashley: Okay. It is interesting, it is an interesting philosophy, it is one that has worked for you. And now that you find yourself deep in the digital age where you are still walking around, you are still having these conversations, you are still present, not only in person but, obviously, in the social space, in the digital space. Ashley: And how are you going to directly communicate with your constituencies, going to completely transform? At least from where it was in 2001. I am curious as to your philosophy around direct communication, as Rick Baker, with your constituency on social media and in the digital landscape. Ashley: You are not going to be Tweeting or Instagramming? Ashley: Believe it or not, we may be curious about that. We may want to know. Rick: The beauty is I will have people that will be joining me to diners. I love diners, by the way, and if you want to join me to a diner you are welcome to do that. Ashley: I will take you up on that. Rick: Okay. I have actually a map in my car with the diners in the city, so I like to go out and have breakfast. A couple of times a week when I was mayor I would just pick a diner, go at about 7 o’clock or 7:30 in the morning and get a newspaper and go – and nowadays I would probably use my phone – but just look at the news and have breakfast. And people then would come to my table and sit down and they would be kind of surprised the mayor would have… And it was a great way of getting out and just on a very informal basis, not announced, not saying where I am going, just show up and so people in the community can sit down and talk to you. I like that a lot. And when you join me you can see what I have at breakfast. Ashley: Excellent. So, we are going to wrap up pretty soon. One of the things we like to do when we wrap up is give a shout-out, and not just to any company. I know that you have an army of supporters out there that support you, and you support as well. Really an individual, an entity or an organization that maybe doesn’t have a lot of eyeballs on it right now, but they are doing great work, they are lifting St. Pete up and may not have attention. So this is an opportunity for our guest to give them platform and bring them to our awareness. Rick: Well gee, that is hard because I’ve got a lot of them in my head that are traveling jumpingas I am going on. I don’t know that I can name one but I will name a few, and I apologize to anybody that don’t come to my mind this very second. But let me back up and say that. I think that people tend to think of the mayor as running the city and in a lot of ways the mayor does run the city, but the city progresses not because of the mayor, or hopefully if it is the right mayor, the mayor helps. But it is because of the community and the army of people that care about the city behind the Government. So it is the folks that coach at their little league games. How important is that? That somebody spends their voluntary… I was just walking through a little league field last night, 33rd Street football complex, and looking at all the coaches, the people and I think golly, they are giving their time. People maybe teach Sunday school on a Sunday morning, they give up their time doing that. Or they just choose a career like a teacher where their whole career is giving people… Or a social worker. And we have these organizations like Boley that provides this great… Or YMCA and catholic charities and the homeless service providers. And we just have this huge array of folks in the community that are doing the social service piece of it, the education pieces of it. And then we have the businesses, and I feel I have so much respect for the businesses in our community because they are providing people with jobs. And I have been in business, it is hard. And so I am thankful for them, and especially the ones that make the commitment to take a portion of the money they make and put it back in the community, and there are a lot of them. We would not be where we are. Look at today, we have two new museums under construction right now that have been funded by very wealthy people that have been very successful in business. And so isn’t it good that we have people willing to do that, so everybody can be able to enjoy that for generations to come in our city? And then just extend that through the Arts organization. And then I have a special place in my heart for the people that work at the city of St. Pete, the police officers, the firefighters, the people that work in the water department, who have taken a real beating lately, but we have some great people that work in the water department, sewer department of the city. People that work in our rig centers to keep our perks clean and in a good condition. And people that throughout this year, about 3,000 employees working for the city and they don’t get the headlines, and they don’t get the front-page story about all the great things that they are doing, but they are very much committed. I had one of them recently tell me, who has had a hard time because of some of the issues that the city has had the last four years, and he said to me “I bleed pelican blood”. Now, I don’t know if I would put it that way, but I think he was trying to demonstrate to me how committed folks are that work for the city to make it better. I guess I cannot probably put my finger on one, but I am just thankful for this army of people in St. Pete. When I was mayor I had the privilege of leading what was really the greatest renaissance downtown in our city’s history during that period of time. And I always remind people that it wasn’t because of me. It was a 25-year overnight success. People for decades had been working to try to move our city forward, not just mayors and Council members, but all the folks I just mentioned throughout our community, that have been building this great city that we are becoming. I believe that we are a great city, we have made some serious mistakes the last couple of years, and I am going to fix that and turn those back around. But I think we have the potential of being the best city in America, I really do. Because we are poised with the resources and the people that we have in this community to do just that. And with some of the things that we have talked about today and others, I think that we are ready to do that. Ashley: Rick Baker, thank you for being with us today. Rick: My honor. Thank you for having me.